As of writing this the raspberry pi zero is still hard to get hold of, Since I managed to snag one I thought I would put it some use. 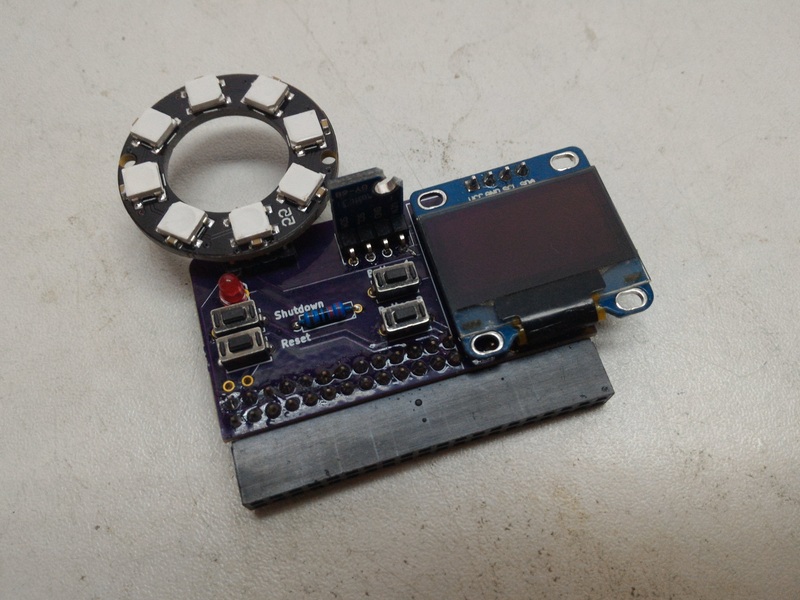 Also Hackaday/Adafruit gave me a kick up the arse with there Contest too. I haven’t really done anything with raspberry pi GPIO before now. I had made a weather display with a atmega328, passing the data to it via serial from a python script running on a raspberry pi. I wanted to update this but using the raspberry pi GPIO instead of the atmega328. I went with a ssd1306 oled screen a few buttons and a WS2812 ring of LED’s and a BMP180 for temperature logging. 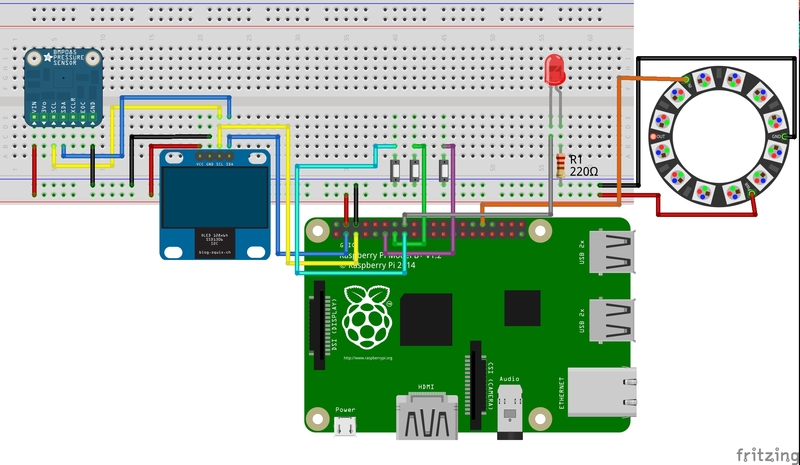 As I said above this is my first project to use the raspberry pi GPIO with python. 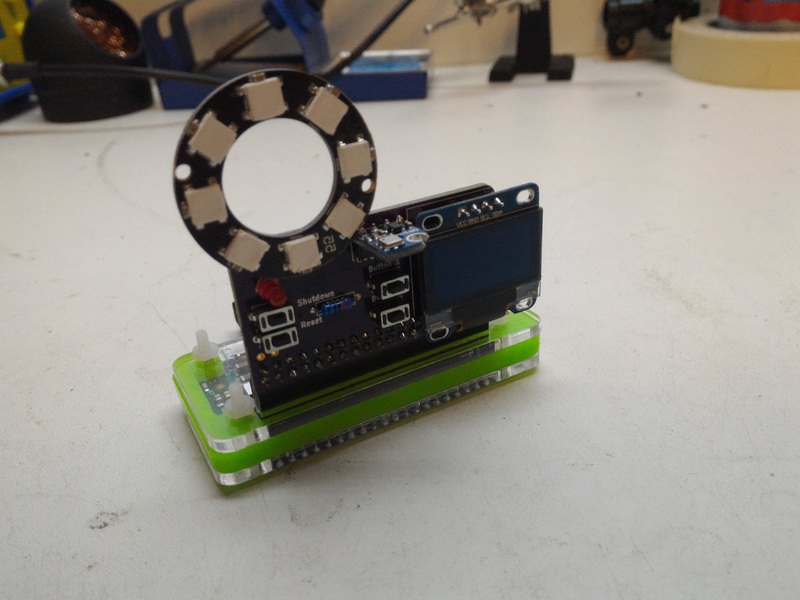 I know that this project might be considered over kill by some and I could have just used a ESP8266. This wasn’t the point of the project, I just simply wanted to try developing on the raspberry pi. One of my bug bears with the raspberry pi is that Dropbox don’t make a client for the platform. I have found an alternatives which is open source and free, syncthing is slightly different then Dropbox because you host your own files. Lucky the software takes care of everything for you and the storage is practically unlimited. I have incorporated my previous project the shutdown button into the project and added a reset button. The reset button shorts the run pin on your pi. The problem with the run pins is they are in different spots on the different pi’s, so I’m going to have a female header and connect the pins with jumper wires. Since the release of jessie raspbian has moved over to systemd which changes the way you start code at startup. Shutdown button code needs to run all the time because it needs to always check to see if the shutdown buttons been pressed. This script will be set up separate from the status screens script. The shutdown button code can be found on my github page. Weather display code updates every 15 minutes and 1 minute after boot. The code can be found on my github page. You need to register as a developer on weatherunderground.com and add your api key to the code. Temperature logging code also runs every 15 minutes and 1 minute after boot. The code can be found on my github page. You will need to sign up to be a developer on thingspeak.com and add your api key to the code for it to work. 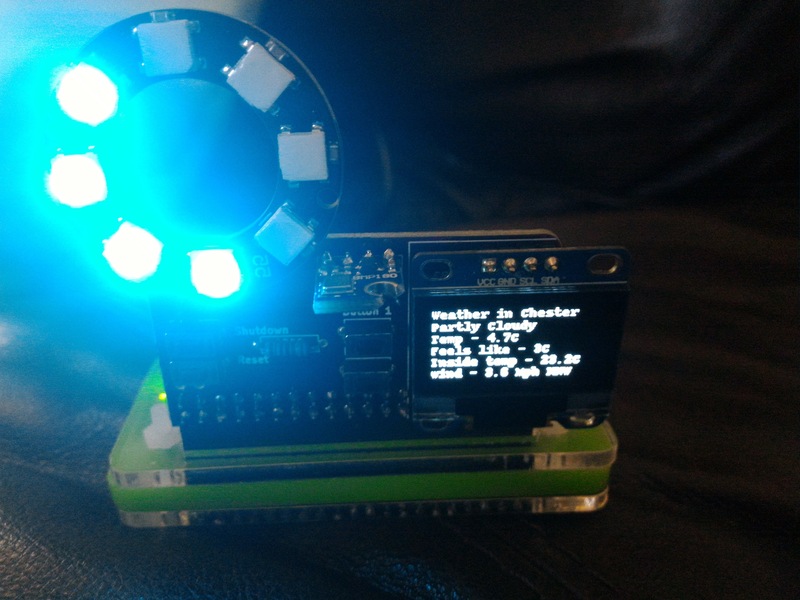 Weather display code runs every 15 minutes.The code can be found on my github page. You need to register as a developer on weatherunderground.com and add your api key to the code.